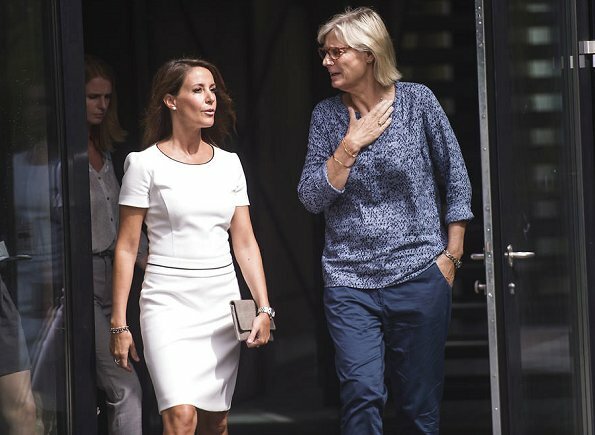 On August 2, 2017, Princess Marie of Denmark visited the summer camp 2017 of the Academy of Talentful Youth ( ATU - Akademiet for Talentfulde Unge) at Nørre Gymnasium & IB World School in Brønshøj, Denmark. Good that she sticks to Hugo Boss, there clothes are perfect for her, simple and elegant - like she is. A charming lady in an elegant dress! Nice White dress for her tanned skin. Simple and elegant summer dress that is just right for the occasion.